Let's start with a refresher--James Wright's wonderful poem. Yesterday, I spent nearly seven hours at Spring Affair, billed as the largest plant sale in the Midwest. At 9am thousands rushed in, an in an hour or two half the plants were gone, a hundred tables suddenly empty. Pockets of plants were left here and there, most noticeably to me was milkweed (and ironweed, one monarchs love to nectar on). Of course, the hostas were selling like hotcakes. My garden coaching business banner has a monarch prominently displayed, and many eyes lit up ten feet away as folks approached and regaled my wife and I with butterfly stories, while others asked what was going on with the influx of butterflies now (red admirals and sulphurs). Many spoke fondly of their butterfly bushes. When I asked if they had milkweed, I often heard "No. Should I have that?" Of course! No milkweed, no monarchs--and no lots of other butterflies gorging on that rich nectar. We need more James Wright moments in our landscapes, and that's the primary reason when I was asked a couple times yesterday if I did speaking engagements, I rushed home and created a list of topics. I also had enough people come up to me and say what a cool idea a native plant garden coach was, wishing me much success, that I feel emboldened (and exhausted), but unsure now what direction to take next. So, I'll start here with another plea: PLANT MILKWEED. Butterflies and other pollinating insects are in great need of our help as we spray chemicals first and ask questions later, like what happened to all the butterflies. Indeed, on a recent episode of a local garden show on PBS, advice was given to spray earthworms in the evening with sevin to control them (how many problems can you point out in that sentence?). If you have a butterfly garden, as many do, not having milkweed is like not having a butterfly garden at all. Asclepias incarnata, purpurascens, sullivanttii, syriaca. Go. Dig. Now. And stay away from chemicals. Soon, if you plant natives, the good bugs will control the bad bugs. I promise. The air will soon fill with delicate creatures from the other world. We preempt this blog to bring you a breaking announcement. A very attractive and talented gardener, who also writes incredibly well, just saw his first monarchs--yes, plural--of the year. Both female. One very busy tasting all kinds of plants with her feet, placing eggs on many a milkweed. In three days we'll have caterpillars! Earliest I've ever seen the butterflies here. PLANT MILKWEED. Asclepias incarnata (swamp) is my choice for non-invasive tendencies and sheer butterfly magnetism. Nearly brought tears to my eyes. I'm such a geek. Today I'm feeling guilty, mostly because I've been away from thinking about my next book for several weeks, focusing on students and promoting my garden coaching endeavor. Sometimes it's a very fine line between doing things you love, and doing things for the sake of not doing something larger you also love (and maybe more). I hate the word "thing" though. Is garden coaching a diversion? Is it the flavor du jour? Writing is at the core of my identity and gauges my self worth, yet I lead an exclusionary, solitary life, not networking in all the circles that matter, almost alienating myself from my tribe. I've done that my whole life. Somehow, the tribe of gardens seems more real, more alive. Maybe it's the flowers--so immediate, so real, so pungent, so awash in life not their own. It's obvious how plants live their lives, and how they interact with the world, what meaning they have and give. Writers? Writing? Shadows only. Gardens are sentences filled with images and metaphors, waiting to be stories and books. On Sunday my wife and I were at Earth Day, which was estimated to have 3,500 folks over five hours. It was the first time we publicly marketed my native prairie garden coaching business, and in 30mph winds it got a bit hairy. What I will remember most are what native plants and ecosystems can teach us that we have forgotten, especially since about, oh, 1950. 1) Wasps are beneficial insects. They pollinate. They kill pests. Wasps are not an enemy unless you grab a nest and stick it in your mouth. We need wasps. 2) And we need bees. I was selling a few small divisions--mountain mint (an insect and wasp mecca), goldenrod, sunflower, coneflower, blue sage--and many folks asked which got butterflies. All of them I said. Which got bees and wasps? All of them. I sold native bee houses made of bundled joe pye weed stalks and those went fast. I think we have a a strange fear and fascination with insects, some are good, some are bad. Whatever might hurt us is bad. But if the monarch butterfly--devoid of milkweed stands in the wild--were to perceptibly vanish, I'd be hurt to the core. Insects also feed baby songbirds, whose numbers are similarly dwindling in the face of a spray first suburban and rural existence, along with sprawl of both. 3) Kids can be smart. Whoa. One girl came by and told us about all the countries she's been to, all the nature she's seen. She couldn't have been much over 10 or 11. Another girl came back twice and just wanted to hang out and ask questions about plants and butterflies and anything. Go kids. Go nature. We sold $1 plants (some divided, some grown in basement), seed packets (Salvia azurea 'Nekan' and Aster laevis), bee houses, and $5 books and photos from my garden / Etsy store. We'll be in the public spotlight one more time, this Saturday at Spring Affair. I'll try to scare together a few more bee house bundles. So far, my desire for an acreage where I grow native plants (perhaps in rows) and in a greenhouse has been flamed. I want a tent at the farmer's market pushing natives, showing folks how we need them, how awesome they are. Of course, Earth Day was preaching to the choir. Still, have to get your feet wet somewhere. Hopefully in a pond filled with bass on 100 acres. Still waiting for someone to gift me that. Ahem. 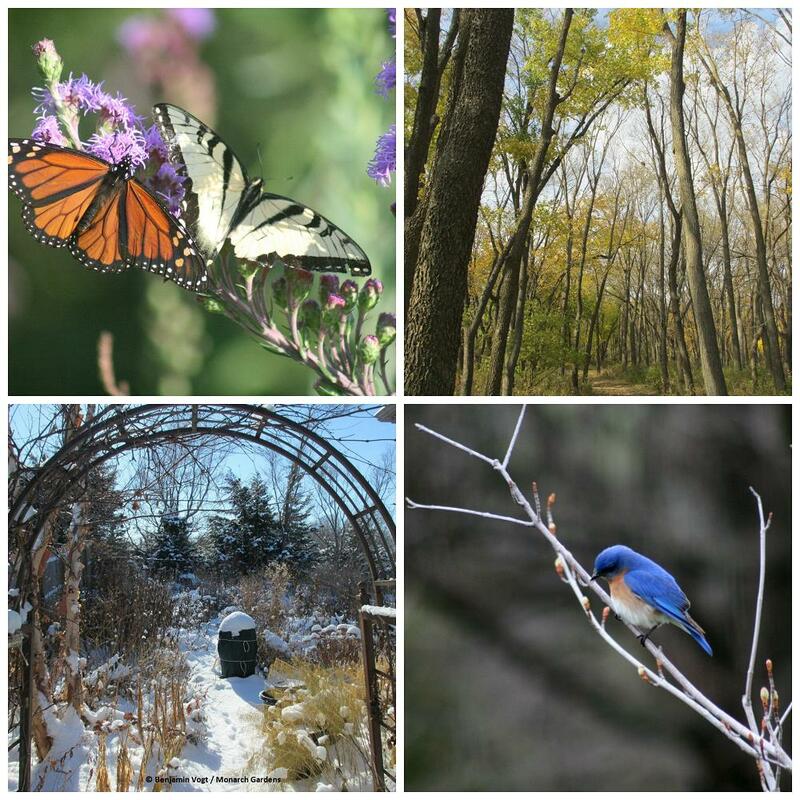 Monarch Gardens, my new native prairie garden coaching business, will be making some appearances. You've got a couple chances to talk to me in person over the next week--and I promise you good conversation and lots of helpful info, among other goodies. I may even wear cologne. Our booth is right across from the farmer's market. Can't miss it. 80 vendors will be there! Our booth is in the front row facing the plants. 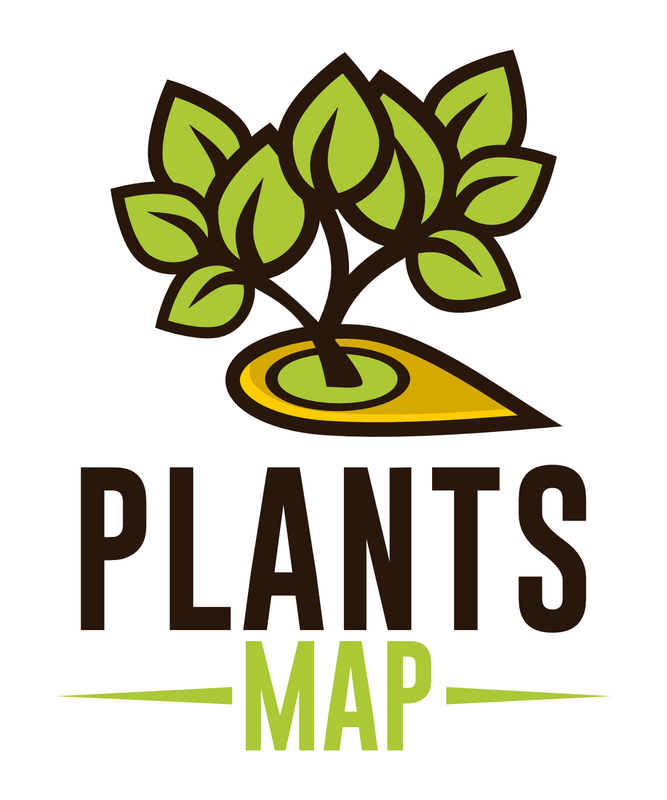 Biggest plant sale in the Midwest! It gets crazy. Thousands of people. -- And maybe, if we get real lucky and the southern winds are strong, monarch eggs. Remember, milkweed is not a weed, which is why I call it wilkmeed. If you're at Spring Affair you could hire me for a bit to walk around and pick out some good natives. Ahem. In June I'll be presenting again on native Nebraska wildflowers at Finke Gardens. Hope to see you soon! I've been posting some recent macro photos to my personal Facebook page, but I should also post them here--if anything, it's another way to keep track of the seasons. In case you haven't noticed, it's summer. I'd say, like most everyone, here in Nebraska we're 3-4 weeks ahead. Yesterday, there were reports of over 100 tornadoes in the central Plains (the cats and I were in the basement at 11:30 last night due to some supposed funnel clouds), but all we really saw was 4" of rain. That's our precipitation cycle this year: a deluge, then weeks of drought. Kind of like the photos I'm gonna toss up at you right now. This year, for reasons I still can't quite discern, I'm trying my hand at vegetables. For the first time. Ever. Folks say, "Oh yeah, veggies are easy." But then I start reading about companion plants, the many pests, vine borers, cabbage beetles, hail, fire and brimstone--and I think to myself, "Geeze, 1,500 feet of prairie plants are WAAAAY easier than this. I don't have to touch them but once a year." Still, making a new bed got me some exercise. An early tan. Bruises, cuts, gangrene, a nervous tic that makes me point at the ground in order to stretch my dirt-caked and contorted fingers. If this doesn't work out, I have 80 new square feet for either a trial bed or transplant bed for indoor seedlings (which are going tolerably well, about 75% germination). Way too tiny original bed about 2' deep. Moved aluminum edging for new 4' bed. Turned over 80' of wet clay fescue. Added 1-1.5 yards of city soil. I was planning on making 5 trips with plastic tubs in my hatchback to the city dump, where there's free compost (this stuff has been magic in my garden). On the first trip I met a guy who flagged me down, offered to help me load my car, then offered to deliver all the compost I'd need for a modest fee. Local landscaping companies would've charged five times as much. I was a happy camper who doesn't like camping. Since this is my first year flirting with vegetables, I just ordered seeds I could get with a coupon--no heirlooms, nothing too fussy I hope. Broccoli, spinach, eggplant, bush beans, pole beans, summer squash, watermelon, pumpkin. The pumpkin and pole beans I'll sow elsewhere in my main garden once the tulips die back (and since they're blooming 4 weeks early, this should be well before the "normal" last frost date in early May). Months ago I promised myself and this blog's mercurial audience that I'd post about my progress writing my next memoir. Well, I'm not writing it. Not that I won't, I'm just not doing it right now. Even though it's the thing I want to do and accomplish more than anything in the world. And it's the perfect time to be doing it. And I really do have to be doing it to "further my career" -- I need fresh fish in the pan. I've spent nearly three years researching Turkey Red, digging and crawling my way through it all, amassing some 500 pages of notes and annotations and maps and drawings and interviews and videos and images. See, it's just all so much--too much, in fact. And it's supposed to be. I'm beat down. Hunched over. Heavy footed. Delirious. Where do I possibly begin? How do I make all the notes into a moving narrative? Where do I fit in with the research, the family stories, the Great Plains? I don't know. I do know that writing will get me to knowing, but right now I don't even have a place to start, nothing that spins my heart, that makes my heart ache, that makes me swoon and overflow with passion. I'm waiting for this. I know this is a dangerous game, because in writing you don't wait, serious and real writers don't wait--they go. They do. The muse is a fallacy. Writers make the book come to them. But I can't. I've never been able to do that from the start--later, in editing, yes--but not from the start. I need a deep-threaded vibe that stretches from me into every space and time and living thing. So, I'm doing what I most fear and loathe to do--letting the material soak. Seeing what percolates, bubbles, rises to the top. What ferments. I must be patient. This is not a book I can force through on one draft, realize it's awful, and write a whole other book again. My writing process is not amenable to that at all. I must be with it and in it on that first draft, heart and soul, festering and oozing all the bison, prairie dogs, bluestem, Mennonite farmers, Cheyenne school children, oil booms, sooners, my grandmother's stories, and the agony of my childhood in Oklahoma. So hush now, memoir. Sleep. Stay still right there as I close the door. Soon, I reckon, I'll come crashing in a mad dash to you, screaming wildly late one night, and tear through dozens of new pages--perhaps a whole book in a month or two. That's fine. We wait for one another for when the time is right. But when it's time, we must be alert enough to recognize it, and to dig in and go mad in obstinate faith, diligence, devotion, and desire. Ready the body and mind. Nurture the soul. Listen. While I had two classes doing a creative writing exercise outside, I took advantage of the time and weather to stroll around the Sheldon Art Gallery's sculpture garden. I really wanted a donut, but I refrained. Art and nature, a winning combination without saturated fats. The previous sculpture from the front. Redbud and dogwood being horizontal. A moving piece tucked behind a hedge. I like the color and textures. Even the manhole covers are artistic here. It's a pretty campus in spring filled with flowering shrubs and trees galore. In the fall and winter the birds have a grand ole time with berries. Now, if only some of the unused lawn spaces could be patches of prairie. I dream of one day teaching a writing class that uses knowledge of plants--names and medicinal properties and folklore. Maybe taking field trips to gardens and reserves, crossing with other departments. That'd be fun. For every essay I'm able to publish, roughly 20-30 publications reject my work. More and more often with compliments. But here's a piece that finally found a home after a few close calls, titled Across the Flats--which ends my unpublished memoir Morning Glory. It's about plant shopping with my mom after losing my childhood home, solitude, creativity, depression, and marriage. 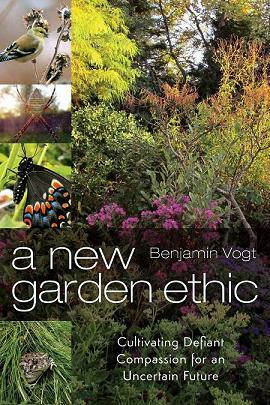 The essay refers to Ambergate Gardens in Minnesota, link here for pics. And yesterday I ran across this bee rubbing herself on tulip pollen (3-4 weeks early) like a cat would on catnip.